The new year has truly begun Samsung now that they’ve announced the release of four new Galaxy phones. 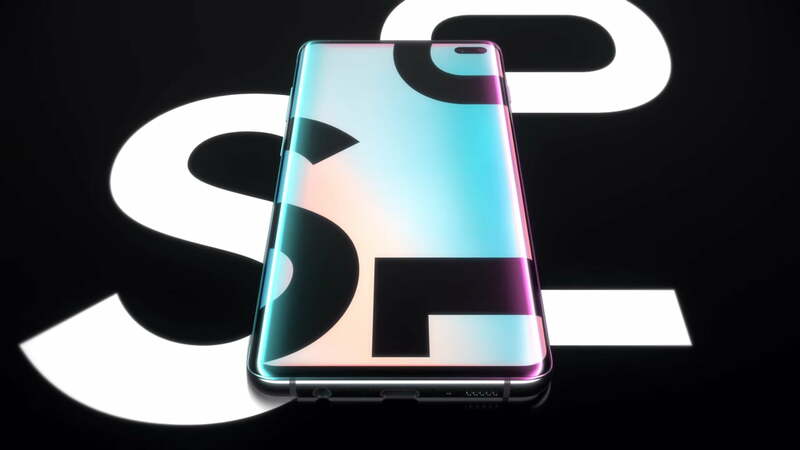 Last week’s Galaxy Unpacked event celebrated ten years of that Samsung Galaxy and saw the unveiling of the Galaxy S10. It’s a remarkable remarkable phone and the event was made even more exceptional with the announcement of 3 other S10 models. There is an affordable S10e, a flashier S10 Plus, and one with the tech to support 5G (S10 5G). Other than the four Galaxy phones, Samsung also dropped their own wireless earbuds, a water-proof fitness tracker, a new Galaxy Watch, and the star of the night the foldable smartphone Samsung Galaxy Fold. The new S10s have several groundbreaking innovations and a wide range of specs to choose from. The phones have been available for pre-order since February 21 and will start shipping on March 8. This phone has brought all of Samsung’s latest tech to life for under a thousand dollars. With a curved 6.1-inch Dynamic AMOLED HD+ display, the screen also brings something new to the table – a reduced blue light in the display that halts the production of melatonin in the body. Melatonin is a hormone that signals to the body when it is time to sleep and studies have blamed screens for reducing its availability. It also has a Qualcomm Snapdragon 855 processor, 8GB of RAM, and up to 512GB of storage with a 3,400mAh battery. Another remarkable addition to this phone is the first ultrasonic fingerprint scanner built into its screen. This will unlock the phone using sound waves. The S10 not only brings fast wireless charging but also introduces Wireless Powershare. Users can charge other devices by simply resting them against the back of the S10. The phone has three rear cameras – a 12MP telephoto camera, a 16MP ultra-wide lens, and a 12MP lens with a variable aperture that can change between f/1.5 and f/2.4. There is also a dual aperture 10MP front hole-punch camera. The Galaxy S10 comes in Canary Yellow, Flamingo Pink, Prism Black, Prism White, Prism Green, and Prism Blue. The phone starts at $899. The Galaxy S10 Plus takes the cutting-edge technology of the S10 up a notch for $1000. It has a bigger 6.4-inch curved AMOLED HD+ display and its 4,100mAh battery with Wireless Powershare. It has 12GB of RAM and an enormous 1TB of storage. The phone has three rear cameras similar to those of the S10 but adds a second 8MP front camera with RGB depth for portrait mode and selfie effects. It also has the same ultrasonic fingerprint scanner. The Galaxy S10 Plus is available with a ceramic back in black or white if you spring for the 1TB storage option. This is the phone to choose if you’re looking for an affordable S10. For a lower price, the S10e still has the Snapdragon 855 processor, 3,100mAh battery, two rear cameras (the 16MP wide-range and the 12MP variable aperture lenses), and the 10MP selfie camera. The blue light reduction mechanism is also included. The only loss here is that the screen is a 5.8-inch full HD+ AMOLED display which is flat instead of curved. It has 6GB of RAM and 128GB of storage. The ultrasound fingerprint sensor is not available on this model, but there is a regular fingerprint sensor in its power button. The phone is available for $750. This is the only phone in this range that does not come with a release date. Samsung did, however, hint that it would be here by the summer of 2019. This phone has a 6.7-inch screen, three rear cameras of the other models, and a fourth rear camera can sense 3D-depth (though it’s not made for facial recognition). It has 8GB of RAM, 256GB of storage, and a 4,500mAh battery. It is the only phone in this range without a microSD slot. The price has not been announced yet but predictions place it above $1000. It will first come to Verizon in the US.